Increased requirements of the military, defence tasks and the building of the all-people national defence in the area are posing new issues for technical work and the 9th Military Region’s technical branch. In addition to the missions of providing equipment and technical support for the units tasked with training, combat readiness and exercises; for the operations of the People’s Air Defence Force; and for the military, defence work of border and island districts, the Military Region’s technical branch is also prepared to support other contingency tasks, natural disaster prevention and mitigation, search and rescue, and so forth. In the meanwhile, besides basic advantages, the Military Region’s technical work is also facing numerous difficulties and challenges which may affect the provision of support for missions. Notably, the Military Region’s immense amount of technical equipment with a wide variety of patterns, many years of use and lack of synchronicity makes it difficult for employment and exploitation. In spite of having been invested, technical facilities in some units have not been developed properly and failed to satisfy the demands of long-term maintenance and storage of weapons and equipment. There is a lack of funds, materials, spare parts, and petrol/diesel oil. The prices of essential items of goods used for technical support are on the rise. The branch’s organisation and staffing are in the process of being perfected. These characteristics have exerted a direct influence on the execution of technical work of the Military Region’s armed forces. Given its pivotal role, the 9th Military Region’s Technical Department has well performed its advisory function for leaders and commanders at all levels in the realm of promoting the quality and effectiveness of technical work, placing a strong emphasis on implementing the Military Region’s Party Executive Committee’s Program 398-CTr/ĐU in realising the Central Military Commission’s Resolution 382 on leading the technical work in the new situation. At the same time, it has also advised the Military Region’s Party Executive Committee to posit “weapon and equipment management” to become a major breakthrough in Resolution of the Military Region Party Committee Congress for the period of 2015-2020; and instructed units to study and devise plans to expedite execution at their levels. In order to achieve the required objectives, the department has advised the Military Region’s Party Executive Committee and Command to direct party executive committees, unit commanders and localities to heighten their responsibilities and strengthen their leadership over the technical work; and review, supplement and perfect systems of rules and regulations governing the technical work, etc., in accordance with practical situations. Against the backdrop of its wide area of responsibility, unexpected climate and weather conditions, high moisture, and limited budgets, the department has advised the Military Region’s Party Executive Committee and Command to lead and instruct the synchronous planning of maintenance and storage facilities from the Military Region level to district and unit levels, creating favourable conditions for selectively building and strengthening these facilities in a “regular, unitary and safe direction,” with the building and perfection of systems of parking garages, ammunition depots, repair stations, lightning protection, fire and explosion protection, etc., according to the standards set by the Ministry of National Defence at the core. At the same time, it has proposed solutions to innovate methods of technical support; plan the use and synchronise available weapons and equipment; and maintain an adequate staffing and promote good order and discipline in technical organisations at all levels. Moreover, the department has recommended organisations, units and localities to plan and improve the system of maintenance facilities at various levels, in line with the Military Region’s force posture, defence zone planning, and the requirement of aligning socioeconomic development with defence, security missions in the area; and mobilise and exploit local budgets to boost funding for technical work. Focusing on developing a pool of strong officers and technical personnel, capable of playing the core role in executing technical work. This issue is both urgent and long-term, and the deciding factor in the effectiveness of technical work. On thoroughly understanding of that matter, on the one hand, the Technical Department’s Party Executive Committee and Board of Directors have instructed organisations and units to step up political, ideological education with the aim of raising soldiers’ awareness and sense of responsibility for technical work, especially the corps of technical officers and personnel. On the other hand, they have taken initiative in reviewing and strengthening organisational systems and building strong, regular technical organisations and units in line with the demands of organizing and developing the Military Region’s armed forces. Furthermore, they have proactively collaborated with the Military Region’s organisations on cultivating a corps of technical officers and personnel at all levels, which has an adequate staffing and high quality. Great importance is attached to fostering comprehensive capacity, political spirit, professional ethics, command and staff knowledge, management style, etc., ensuring their successful fulfillment of assigned functions and missions. In view of the technical force’s insufficient staffing, career imbalance, partly low professional skills, etc., the department has checked and evaluated quantity and quality of technical officers and personnel at all levels; and worked out plans to generate, train and employ technical officers and personnel. Special attention has been paid to developing a corps of skilled technical personnel and workers in various majors, particularly experts in special operations equipment and units at grass-roots level. Apart from strengthening the 9th Vocational College in the realms of organisation and staffing, the department has advised the Military Region’s Party Executive Committee and Command to move the college’s technical faculty to the Military Region’s Military School with a view to enhancing the ability of training technical personnel at elementary level for units. Under the “basic, practical and robust” motto, the department has directed units to attach importance to innovating content, forms and methods of technical training; combining comprehensive training with specialised training; and actively updating their knowledge of exploitation and usage of new weapons and technical equipment. Also, the department has laid emphasis on conducting technical drills to improve the comprehensive standard of technical officers and staff at all levels, particularly the ability and capacity of coordinating technical support in wartime. The department has conducted promotion exams for 492 low-level employees; assessed driving skills and ability of 1,527 turns of participants; and sent 221 pilots, tank drivers and high-level employees to training institutions since 2013. Regarding the Military Region’s corps of technical officers and staff, 19.3 per cent of them have completed college/university education and over 80 per cent have achieved intermediate level. The technical personnel have a high level of expertise required for one job, know many other jobs, and are competent to well fulfill their key function in technical work at all levels. In order to maintain and restore functions of weapons and equipment, the department has directed technical organisations at various levels to concentrate on promoting quality of technical support, with an emphasis placed on fundamentally reforming methods, procedures, content, and use of new material technology for weapon equipment maintenance and storage as required, particularly the weapons and equipment for special purposes. The department has requested technical organisations and units to well perform repair work to ensure synchronise weapons and equipment according to gradation; attach importance to promoting the quality of maintenance and repair in units; and closely combine station-based repair with mobile repair. The maintenance and storage work is strictly implemented. The recovered equipment from units is classified, repaired and stored under the regulations. 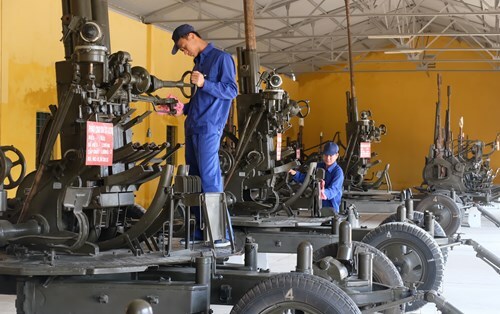 To enhance the quality of technical support, the department has advised the Military Region’s Party Executive Committee to step up movements of bringing into play technical initiatives and innovation at levels and branches. Many projects and initiatives of great value and effectiveness have been applied and introduced, including modifying the M548 tracked cargo carrier to combat engineering vehicle; upgrading the V-100 armoured car; mounting the 12.7mm machine gun on the PT-76 light tank, and 105mm cannon and PKMS machine gun on the M548 tracked cargo carrier; experimental models of the 60mm and 80mm mortars and B40 rocket launcher; and so on. Organisations and units have actively and proactively repaired and painted hundreds of vehicles and artillery pieces; and renewed and built thousands of square metres of storage facilities and repair stations. The fire and explosion prevention systems have been regularly consolidated and gradually perfected. 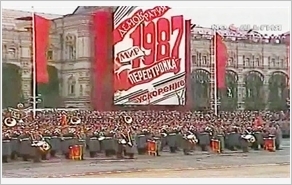 Furthermore, the Technical Department’s Party Executive Committee and Board of Directors have also directed organisations and units to keep executing the campaign “Managing, exploiting and using weapons and equipment in a good, enduring, safe, and economical manner and road safety” (the 50th Campaign), in association with the “Determination to Win” Emulation Movement and the Politburo’s Directive 05-CT/TW (Tenure XII) on stepping up studying and following Ho Chi Minh’s ideology, morality and lifestyle. The Technical Department’s Party Executive Committee and Board of Directors have actively advised and assisted the Steering Committee of the 50th Campaign at all levels to well execute propaganda and education with a view to raising people’s sense of responsibility and self-consciousness while instructing organisations and units to develop detailed plans to expedite the campaign through appropriate policies and measures close to realities of units and localities; introduce knowledge of safety at work and road safety to technical officers and personnel; establish improved road safety areas; and step up measures to manage vehicles participating in traffic. Realising the motto of turning to grass-roots levels, the Military Region’s organisations and units have effectively combined and conducted movements and campaigns within the “Determination to Win” Emulation Movement; and applied criteria set by the technical branch to annual assessment and appraisement of party organisations, offices and units. Moreover, they have promoted inspection, preliminary summing-up and summation with the aim of drawing experience and evaluating results of technical work, the 50th Campaign, and emulation and praise work; and cultivated and multiplied prominent examples of “good people, good deeds” in technical work for everyone to study and follow. Bringing into play sense of self-reliance, resilience, self-motivation, creativeness, proactiveness, clear-headedness, solidarity, and consensus, officers, party members, soldiers, and employees of the Military Region’s technical branch are making every effort to successfully complete every assigned task, which contributes to improving quality and effectiveness of the technical work and generating the integrated strength to make the Military Region’s armed forces increasingly strong and capable of satisfying requirements and missions of defending the Fatherland in the new era.